If you’re thinking of buying your first Digital SLR, you’re probably upgrading from a digital compact and may wonder what the advantages are. More and more people, with a growing interest in photography, are looking for a digital camera that is more advanced than a compact; with more features and better quality photos, but at an affordable price. Does your old lens fit? Buy camera and lens together? One of the advantages of the DSLR is that they have bigger sensors and therefore, have better image quality over the smaller sensor of the compact.It would be easy to assume that image quality of the smaller compact might be on par to a DSLR; because of the similar (and sometimes even higher) pixel count, but, it is because of the larger sensor on the DSLR, that you will get far better quality images. With a dslr you have the ability to change lenses. So whether you prefer photographing landscapes, portraits, or have an interest in macro photography, you should be able to find a lens that suits you. A dslr will also give you more creative control over what you photograph. Canon and Nikon still dominate the market because of there wider range of lenses, but other brands such as Sony, panasonic, Olympus and the rest, may not have the wide range of lenses that the two big brands have, but many have really good lenses with high specifications and are popular with first time DSLR buyers. There’s other advantages with a DSLR : the zoom is manually focused; this is a lot faster, more precise and more responsive than the electronic zooms on the compact, and also, the veiwfinder will allow you to focus much more clearly and you’ll be able to control depth-of- field better. So, when buying a DSLR, (as with buying any digital camera), look for a good quality lens first. Maybe you already own lenses that belonged to your old film camera; some will fit digital SLR’s; the Canon EF-mount was introduced in 1987, the Nikon’s F-mount has been around since 1959 and Minolta lenses will fit the Sony alpha. Entry level dslr’s are targeted at the amateur and enthusiast, who are looking to have more creative control over the pictures they take. These are most suitable for people trading up from compact and bridge cameras and are the most affordable. No doubt you will be looking to buy a camera and lens kit, if so, check out the lens to make sure it’s suitable for what you want it to do. Maybe the kit lens wouldn’t be versatile enough for what you want it for, if so, then buy the camera body only, and look for a good quality ‘used’ lens on line. With a DSLR, you will also have the advantage of adding an external flash gun, although the built in pop-up flash is pretty good for normal uses, by adding an external flash will help you get more creative, such as ‘bouncing’ the flash light from a ceiling to prevent harsh shadows. Another tip: when you’re buying a DSLR in a store, and then start snapping a few pictures to try it out, then veiwing them on the LCD screen; what you’re seeing is the very limited internal memory of the camera itself; as soon as you switch the camera off, they’re gone! so make sure you have a memory card when you get your camera home. I’ve been quite impressed with some of the entry level DSLR’s I’ve seen; I know someone who owns a Sony a-200k; it has 10.2MP and steadyshot image stabilization and is a great entry level camera and produces very good images. 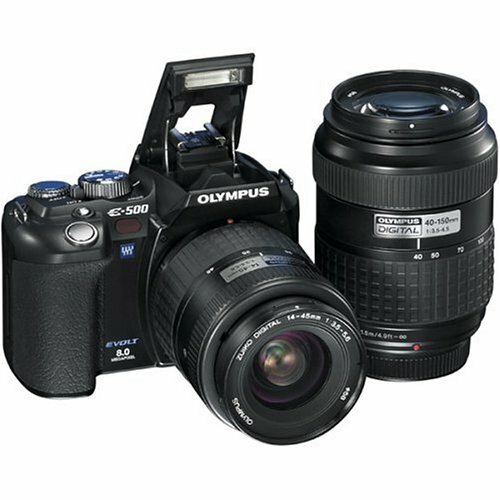 Of course, there are many other great entry level cameras out there, such as the Nikon D3100, Canon eos 1100D, panasonic lumixG1 and the Olympus E500 and many others, no doubt your choice will be mainly decided upon the price. Although it’s unlikely that you’ll be buying anything other than a entry level camera as your first Digital SLR; I thought I’d mention the the other DSLR’s here. The mid range DSLR’s are more for those that are serious about photography; you’ll be far more discerning about what you buy; looking for better build quality, and other features such as faster ‘burst’ shooting, more auto focus points and of course, a good quality (and probably faster) lens. As the name implys; these cameras are aimed more at the professional photographer. They’re well built, have even bigger (full frame) sensors, more auto focusing points, the best image quality and they’re expensive.If you’re at the stage when you’re considering buying one, then either photography is your profession or you’re a very passionate advanced amateur. As a starters in photography make sure that the digital SLR you choose has everything what you need. 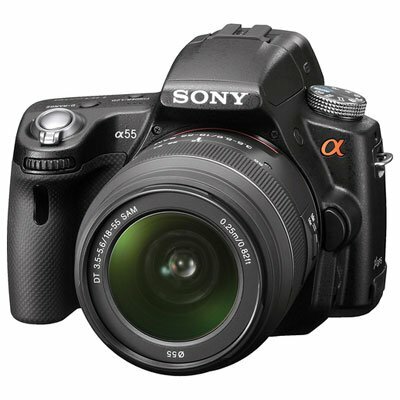 Look for the best quality of digital SLR and surely the excitement of taking great pictures begins.